He received his vocal training in Ljubljana and in Munich. 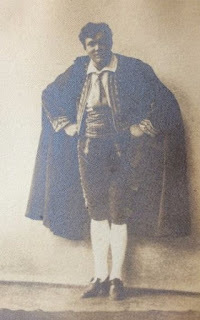 In 1907 he made his debut at the Slovenian National Opera and Ballet Theatre. Here he appeared up to 1913. From 1913 to 1940 he became one of the most popular artists of Croatian National Theatre in Zagreb. He sang several roles here in first performances of operas for Yugoslavia: the title hero in Mussorgsky's "Boris Godunov" and Dosifey in his "Khovantchina" (1926), the Ochs in "Rosenkavalier", King Philip in Verdi's "Don Carlo", the King Mark in "Tristan und Isolde" and Wotan in "Rheingold". On 12. 11. 1935 he sang the role of Marko in Zagreb in the world premiere of the Croatian opera "Ero s onoga svijeta" by Jakov Gotovac. His repertoire included Rocco in "Fidelio", the Kezal in "Prodaná nevěsta ", Figaro in "Nozze di Figaro", Hans Sachs in "Meistersingern", the Wanderer in "Siegfried" and Gurnemanz in "Parsifal". His wife was the famous soprano Paula Trauttner (Ruma, Croatia 1888 – Zagreb 1976).